Designer Brenda Miller walks you through construction of the Voyager Bag in this series of video lessons. Sew in the familiar comfort of your own home. Make your bag on your own schedule. Unlimited access. Log in whenever you'd like. Discussion forum where you can ask questions, and see the questions others ask. Anywhere you can watch a video on your computer or mobile device, you can take this class. Voyager features a secure zip topped closure, two optional zippered side pockets, and two additional slip pockets inside. The padded handles and strap make carrying a breeze. Use pre-cut 2 1/2 inch strips or a focus fabric. The applique, outer pocket zippers and bag feet are optional. There are likely hundreds of Voyager Bags voyaging all over the planet now. This one, by shop owner Christine Richardson, might not be going anywhere too soon. It's a shop sample in her store, Fibre Expressions, in Sechelt, B.C. Canada. Christine made her shop's sample with a lovely Among Brenda's Quilts zipper. 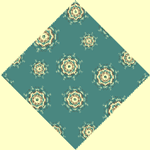 This was made with your Pastel Bali fabric. It is my favourite Yoga Bag. Now I must make a matching phone bag. Thank you for making my first "Brenda" bag easy enough for a newbie. 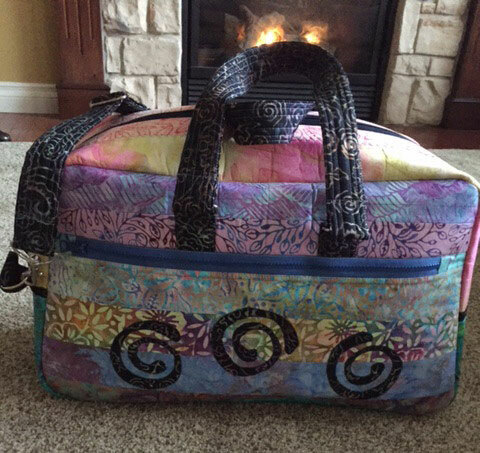 I truly enjoyed making this bag and the directions were great! Want to see even more bags made by our customers? 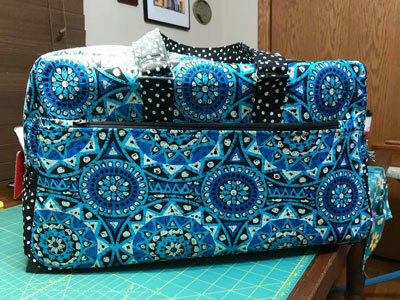 Check out this Show 'n Tell gallery of Voyager Bags to see what others have done and get ideas for fabric choices for your own bag. 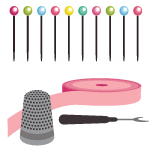 Ability to follow basic sewing directions for pinning, basting, and stitching. Know how to use rotary cutting tools and cutting mats. 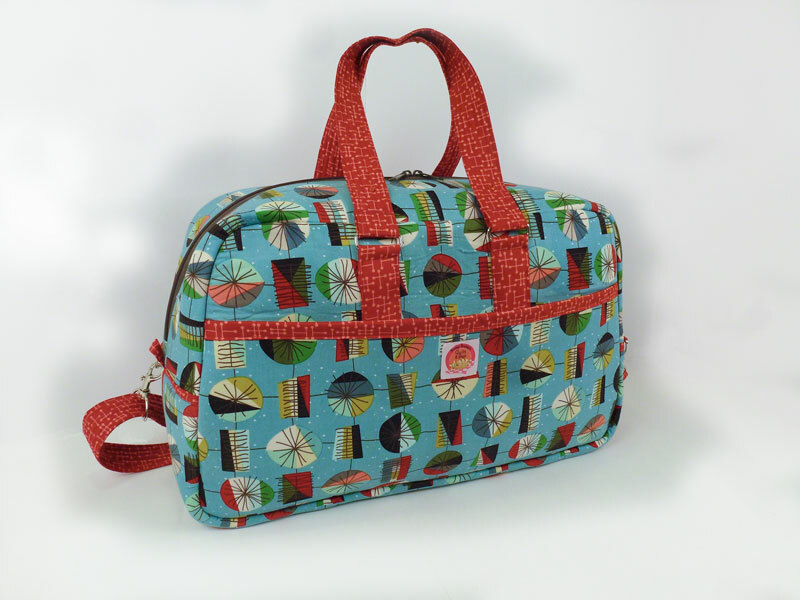 Sewing bags involves some heavy seams and a sturdy sewing machine in perfect working order is your best bet. The machine does not have to have any fancy stitching capabilities. It should be able to handle some bulk but certainly does not need to be an industrial machine. 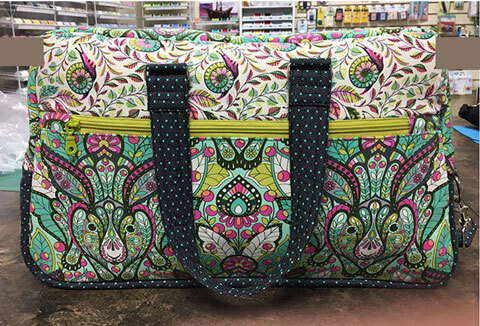 You do not need to buy the pattern separately as the templates used in the bag are provided as a download in the class, along with a full list of supplies you’ll need. When you sign up you'll receive a discount code to use at our online store for a finishing kit that includes the hardware, zipper, fleece, and stabilizer that's listed below. We recommend using quilting weight cottons. 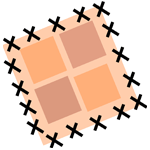 Cutting directions are based on a fabric width of 42" of usable fabric. Flex Foam — 36" x 58"
two pulls. Both pulls must open from the center. one or two for outside pockets (optional). 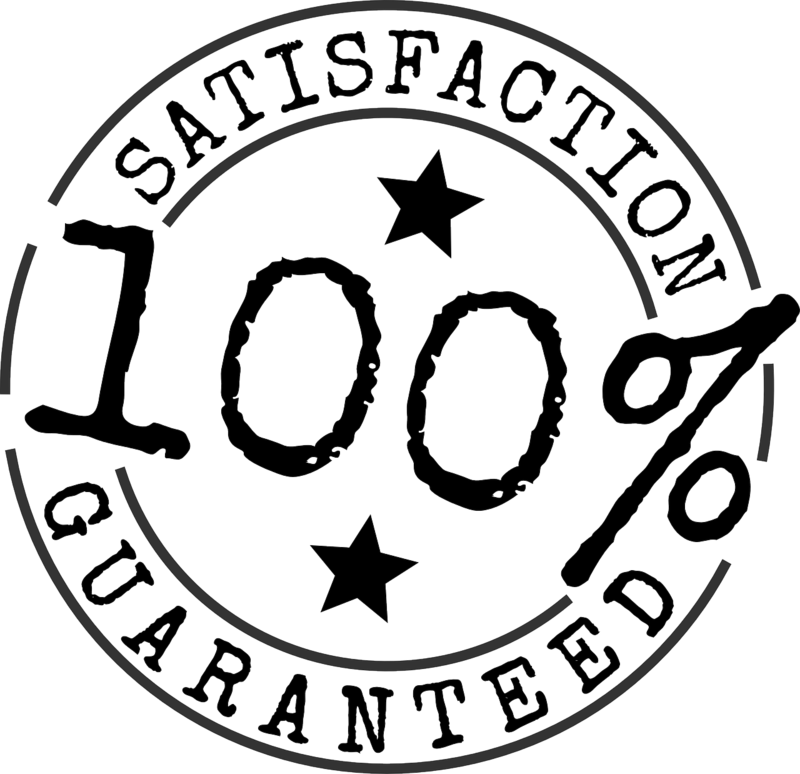 All classes come with a 30 day money back guarantee. If you aren't happy with your purchase, simply request a refund within 30 days.